Looking to reduce the appearance of cellulite? We found an amazing invigorating body scrub by Frank that's used to target and eliminate cellulite; while at the same time exfoliating and cleansing your skin. Plus it smells awesome as it's coffee flavoured. What is unique about this body scrub is the caffeine in it. Caffeine has famously been used by celebrities and fitness gurus to reduce the appearance of cellulite. 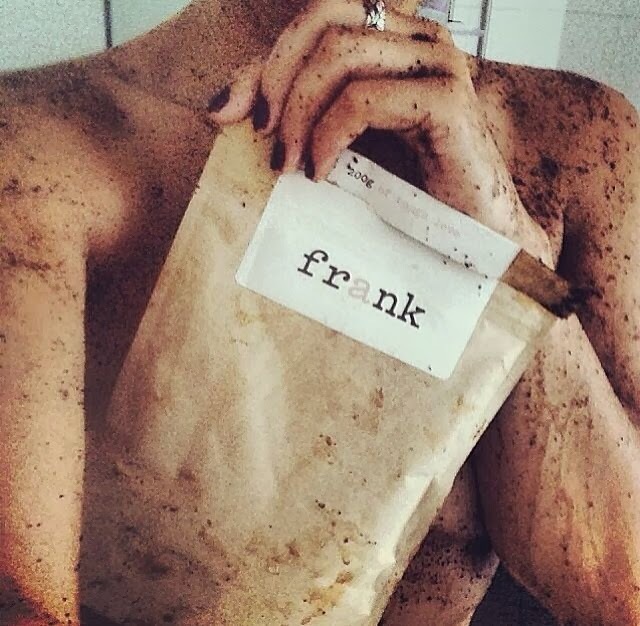 Frank also helps reduce the appearance of stretch marks, psoriasis, varicose veins, eczema and acne by using it's roasted and ground Arabica coffee beans. This all natural ingredient scrub is easy to use and makes your skin super hydrated and smooth. Apply it while in the shower and gently exfoliate over your entire body. Leave on a little longer in the shower for even better results. Rinse and voila!